I’ve always had dry skin. Growing up, it was never an issue for me. In fact, it was something I was thankful for. I have never used oil blotting paper nor ever purchased any product that helps control sebum, so I totally couldn’t relate whenever my friends exasperatedly protest whenever they breakout. Over time, I realized having dry skin has its own challenges. Lines were more prominent as soon as I reached my early 20s and redness soon would appear every time I’d try new products on my face. What’s worse? At some point, I’ve had adult acne which gave me major breakout like I was a high school girl in love. Heehee. As I mentioned here on the blog more than a few times, I’m a late bloomer when it comes to skin care. I didn’t really know I had dry skin when I was growing up, I just thought I was lucky that I didn’t have to start my skin care regimen in my early teen years like my sisters & friends. I didn’t bother to know what skin care routine I should have. Now that I know better, I’m more than eager to salvage what goodness is left of my skin. Thus, I took the Physiogel #FreeInMySkin challenge. Did you know that Physiogel is the no.1 most recommended skincare brand by dermatologists in the country? Physiogel Calming Relief Facial Cream clinically proven to strengthen skin moisture barrier. The science behind its products is called BioMimic™ Technology that contains lipids similar to the skin, that’s why it instantly calms and soothes, offering long-lasting hydration that reveals a more even-toned complexion – plus skin resiliency. 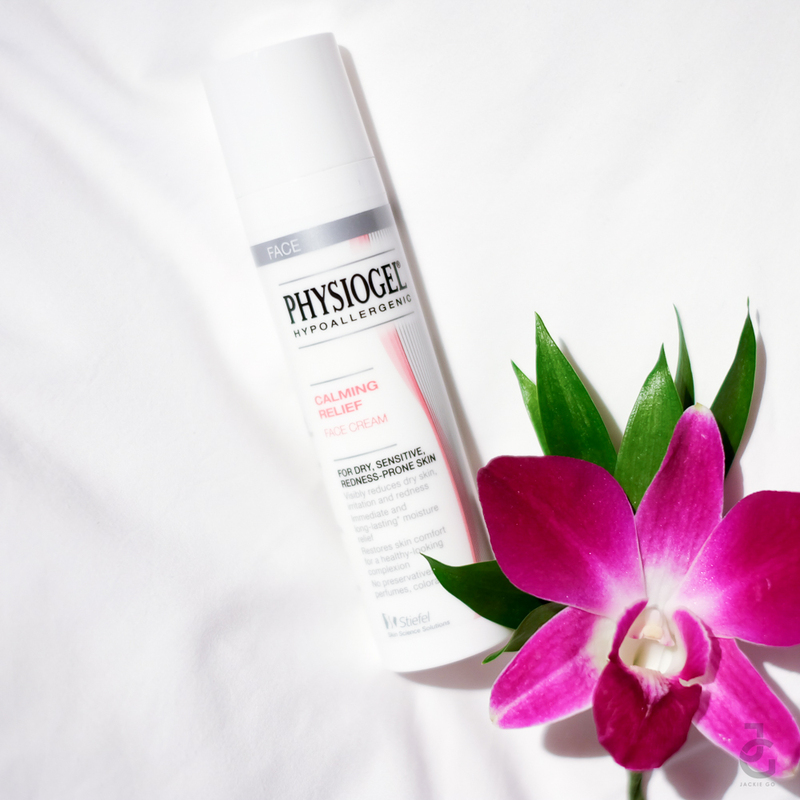 When Physiogel launched their Intensive Cream product years ago, I remember getting one because I had the worst case of dry skin during summer. I lathered it on like there was no tomorrow and that was the time I fell in love with brand. When I went to Hong Kong for my honeymoon, it was my first time experiencing having red, itchy and flaky skin. Sure I had dry skin and I knew it needs moisturizing, but redness and itchiness weren’t something I thought I’d experience. The only remedy I did then was to lather Physiogel Intensive Cream on the tip of my nose and all over my cheeks and it worked wonders. So it was such a delight to know they finally have something for the face – Physiogel Calming Relief Face Cream. This was my skin before I started the challenge. Nope, I wasn’t wearing blush. If you’ll look closely, you’ll see tiny bumps that appear like pimples but aren’t. My skin now, more than ever reacts instantly to whatever factor that causes it to be red & dry. My face 1 week into using Physiogel Calming Relief Facial Cream. Can you already see the difference? 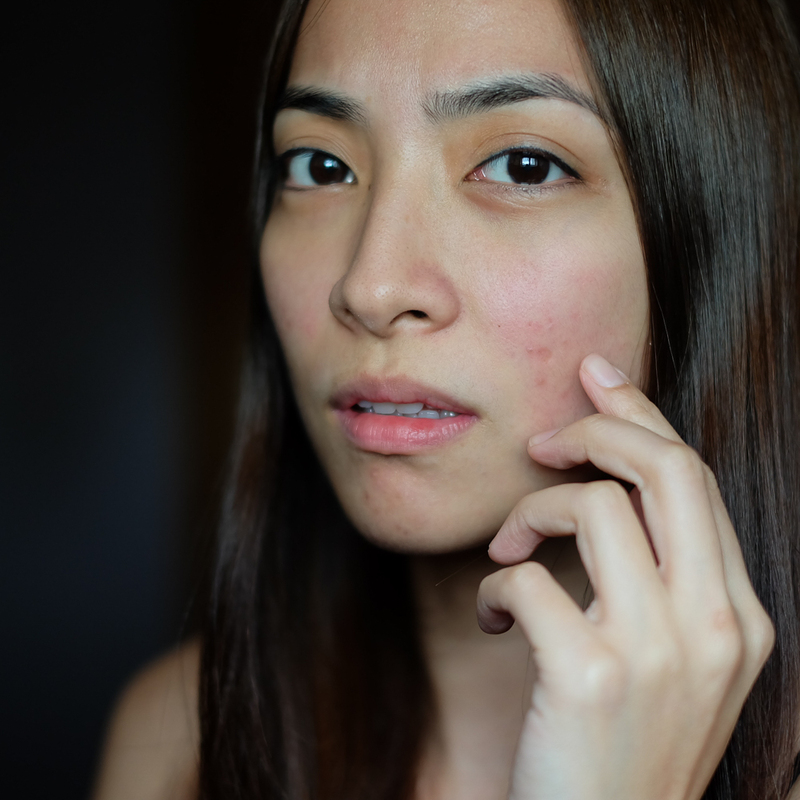 I’ll share with you all the factors that are causing my skin to react this way as well as my overall experience about my #FreeInMySkin 14-Day challenge in a separate post. In the meantime, you can follow Physiogel Philippines on Facebook to learn about Physiogel Calming Relief Face Cream.